Nominated for Classical Recording of the Year and Classical Composition of the Year (for Jeffrey Ryan‘s Burn) by the 2013 Western Canadian Music Awards. 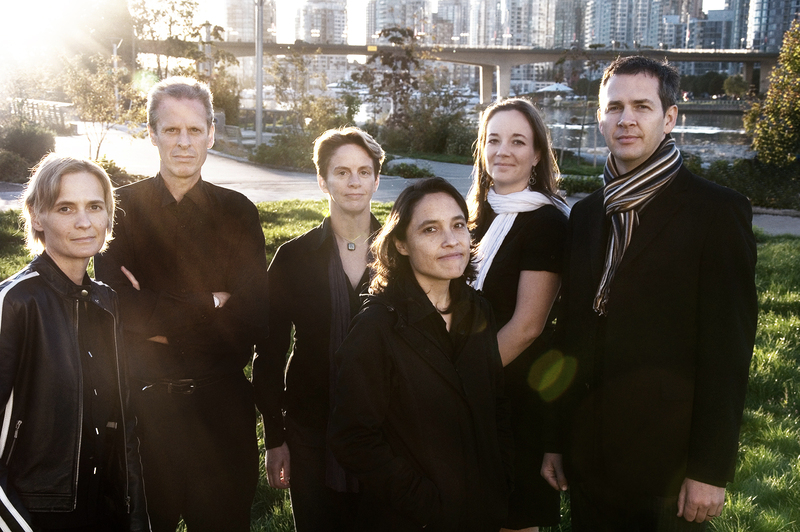 Liquid States is Standing Wave’s third cd of commissioned contemporary chamber music. The recording features works by Canadian luminary composers Linda Bouchard, Rodney Sharman, Jocelyn Morlock, and Jeffrey Ryan. This music was originally recorded for broadcast on The Signal, CBC Radio Two. Recorded in Vancouver, BC: May 31st-June 1st, 2011 at CBC Studio One. Made up of six of Vancouver’s most sought-after musical multitaskers, Standing Wave is dedicated to commissioning and performing contemporary chamber music by Canadian and International composers The ensemble ventures into a wide array of musical worlds with passion and assurance, bringing an audaciously intimate aesthetic to the most complex and ground-breaking music. In its 24 year history, Standing Wave has commissioned and premiered over 75 works, has toured across Canada, and has released 3 CDs, including Liquid States (2013), which was recorded live in CBC Studio One and nominated for two Western Canadian Music Awards. The group’s fourth CD, New Wave, was released in January of 2017. Recent highlights include opening night performances at the 2014, 2015, and 2016 VSO New Music Festivals, an appearance at Ottawa’s Chamberfest, an 8-night run of Jeffrey Ryan’s Book of Love with Kokoro Dance, and collaborations with composers James O’Callaghan and Vincent Ho. Exciting shows in 2017 include appearances at the PuSH International Performing Arts Festival, the Montreal/New Musics Festival, and ISCM’s World New Music Days.